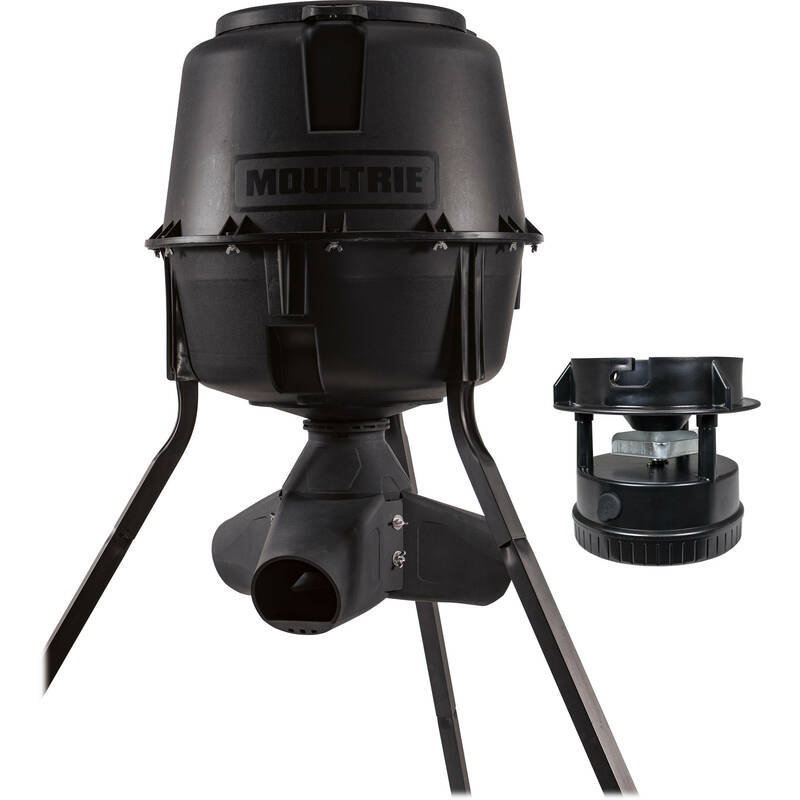 Take your choice of battery-powered mechanized spreading or low-tech, no-hassle gravity dispensing with the Moultrie Gravity/Spin Combo Tripod Deer Feeder. This 30-gallon hopper comes with two attachments: an adjustable-flow gravity dispenser with three feeding tunnels, and a mechanical spincaster that runs on four AA batteries and spreads feed up to four times per day, from one to 20 seconds each time. Whichever attachment you use, the feeder is designed for corn or protein pellet feed and holds up to 200 pounds.